Incredible opportunity to own this 2 bed 1.5 bath condo in the center of it all. Sitting in traffic on 700 E all morning is so 2018. 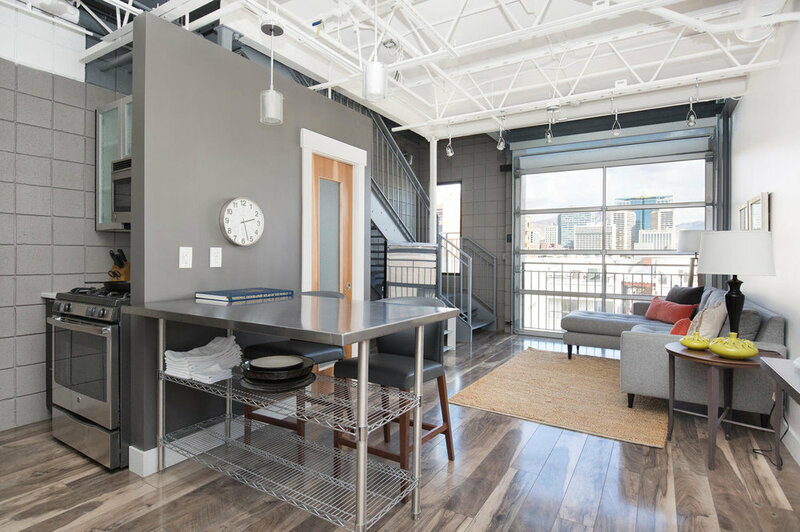 Live downtown where you can walk to work, live across the street from the farmers market, enjoy summer evenings with friends on your private rooftop deck, and say goodbye once and for all to the hassle of getting around in this city. 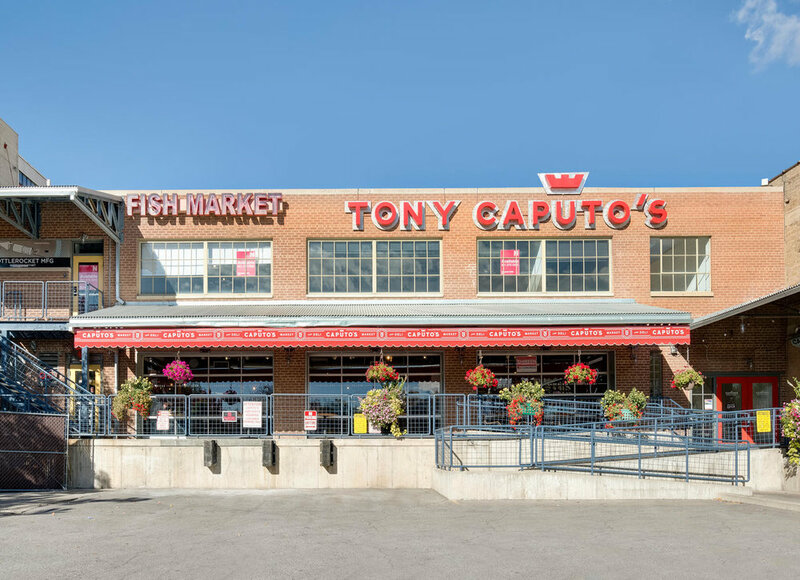 Perfectly situated in the arts and dining district of downtown, with Aquarius fish market and Tony Caputo's on your block, and you are just around the corner from dozens of restaurants, bars, clubs and the new downtown theater. 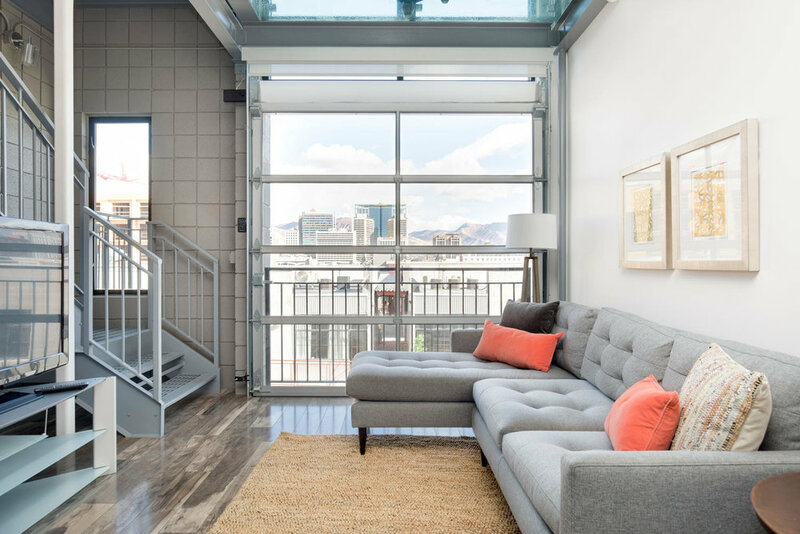 Open living concept with retractable garage style window which allows you to bring the outdoors in. Beautiful kitchen including gas range, stainless steel appliances and quartz countertops. Powder room on main floor as well. Upstairs you'll find 2 bedrooms with large bath that is a showcase--large walk in shower and plenty of natural light. The second bedroom would make a great home office as well. 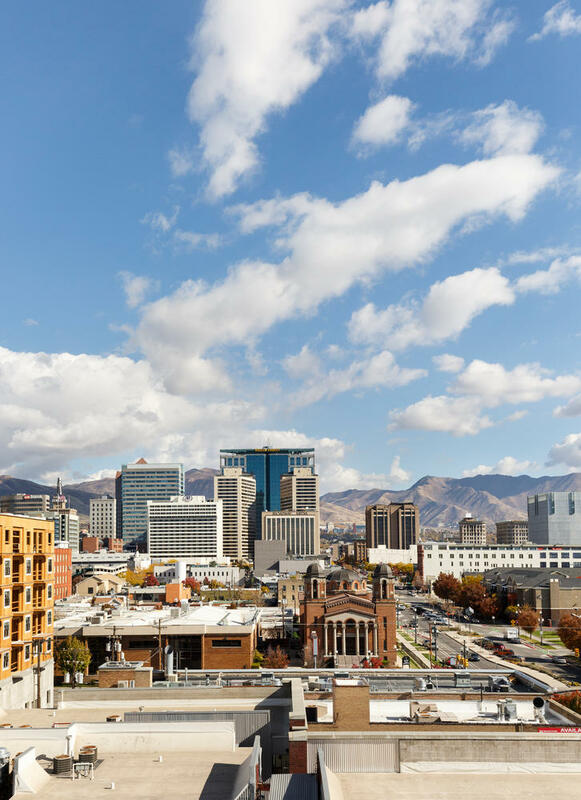 Head one more level up and you get to enjoy your own private rooftop deck, with incredible views of downtown and the Wasatch. Secured 1 car garage spot included. Solid well taken care of home in quiet Taylorsville neighborhood. 3 bedrooms on one level, charming brick fireplace for cozy snowy days, newer furnace, roof and a lot of new electrical. Large yard with concrete patio for entertaining and a one car garage plus carport. This home is set back from the street with a large mature tree in the front yard. Fantastic opportunity to be purchase a true blank canvas in one of the most desirable neighborhoods in the entire city. Tear down and build a steel and wood streamlined modern home with an ADU above the garage, or perhaps a smaller modern colonial with great garden space? Whatever you choose you won't find a better location or more possibilities. House is gutted and ready for an addition or remodel. Not many opportunities like this with an existing structure to incorporate into your design. Street already has 1MM plus modern homes being built. Why wait? What a wonderful example of classic Sugarhouse architecture, original gum wood moldings, hardwood floors with xeriscaping to boot! Step inside this stylish home, which from the moment you enter will excite your senses with classic stylings with a modern touch. Some newer windows, updated HVAC, new range and refrigerator, updated electrical (no knob & tube! ), custom rear yard pergola, with mature plantings and working raised vegetable beds (including organic heirloom tomatoes!). 2 beds 1 bath all main level living. This darling cottage is perfect in size, location and style! It's all about the mountain lifestyle! Enjoy life to the fullest at this fantastic ski in/ski out luxury mountain home located right on the slopes off Majestic chair at Brighton Ski Resort in Big Cottonwood Canyon. Start creating memories that will last a lifetime including skiing, snowboarding, hiking, mountain biking and bird watching right out your front door. This well planned layout has room for everyone including a great room with spectacular vaulted ceilings, soaring light filled windows, spacious luxury kitchen, loads of bedrooms and even a hide-a-way playroom on the upper level. Each bedroom has been decorated with care to create a special experience. The master bedroom looks right on to ski slopes! Perched on a secluded cul-de-sac within walking distance of the hospital this 6281 sq. ft home boasts incredible views of downtown, and thanks to a county owned retention pond at the bottom of the hill you will forever keep the grand views of our great city's skyline unobstructed and unimpeded. From entering this home you immediately feel this home's grandeur and stature. Vaulted ceilings at the entrance continue into the open living living, dining and family room. Main level master suite is perfectly situated, including it's own private deck, tub and shower, double vanity and plenty of closet space. Updated kitchen includes GE Monogram & Thermador Appliances, double oven and warming oven, granite countertops and custom cabinetry. Off the entry you will also find a perfect sized home office and a powder bath. Large back deck looks over the valley floor below with more of the same great unobstructed views. 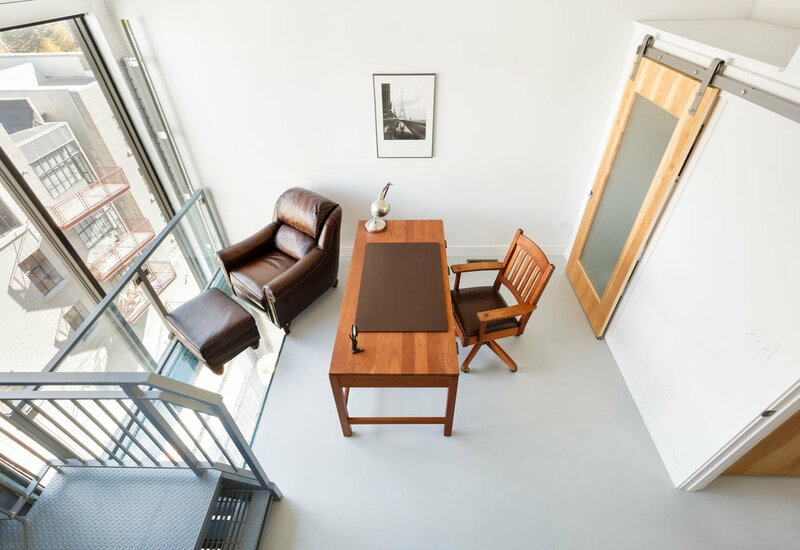 The second floor, with staircases from both sides of the home, includes a large study nook, one ensuite bathroom with an attached 3/4 bath, and two large bedrooms that share a full bath. The kids get the best views in this house! The basement is a la carte--space large enough to have both a large game room and theater room, as well as space for a mother-in-law, plumbed for a second kitchen already. Both bedroom and game room walk out to the small but maturely landscaped rear yard. Great closet space everywhere you look, second pantry off basement stairs could store enough food for the whole neighborhood, 3 car garage, three furnaces, humidifier, Hunter Douglas blinds throughout, and three fireplaces. 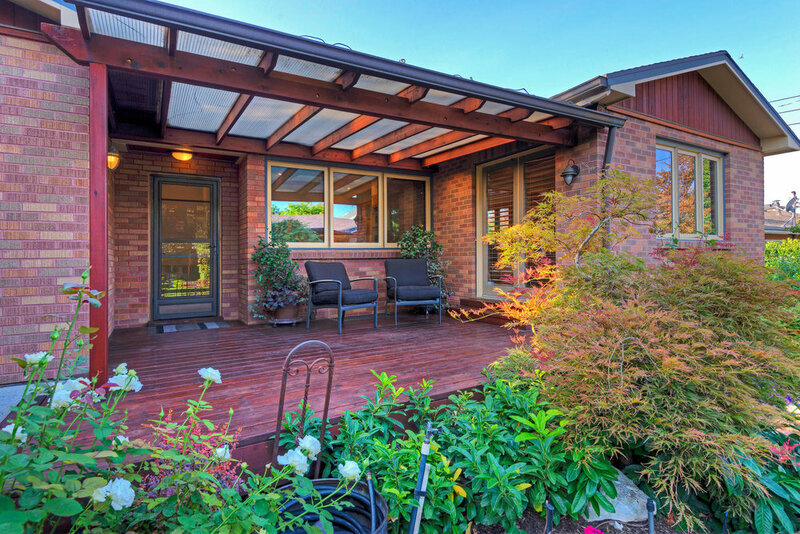 Gorgeous, artful, rambler with high end finishes in sought after Holladay. Complete with remodeled gourmet kitchen, baths and hard to find main floor family room/den. Enjoy Jeld-Wen windows, gleaming hardwoods, spacious bedrooms including a master with a stunning dressing area with 2 large closets with full built ins and private studio off garage. The impeccably landscaped grounds feature a magical yard both front and back with private back deck flowing from French doors onto two lovely patios that are surrounded by an array of well curated plants and trees. Fresh designer paint, artisan wood work, and high end lighting inside and out fully enhance this wonderful floor plan that has a perfect flow for everyday living and great entertaining. Incredible location within walking distance to all of the 9th & 9th boutiques, restaurants and bars as well as Smiths supermarket. Not possible to beat this location for this price! Set back from the street, this home greets you with a cozy front porch. Original hardwoods throughout, classic original bungalow fireplace, and original bungalow trim compliments the new open concept kitchen/dining room. Granite countertops and stainless steel appliances in the kitchen. Two bedrooms and one bath on the main. Basement has great ceiling height and is just waiting for you to finish into family room or additional bedrooms.The rear yard is quiet, secluded and perfect for entertaining guests on the rear patio. Garden boxes are all set up with drip irrigation and your lawn will be easy to maintain with automatic sprinklers. Where the mountain modern elements of western cedar, metal roofing accents and steel beams blend with the urban hallmarks of textured wall paper, manicured landscaping and concrete fireplaces we see that modern design and building has evolved once again. Welcome to foothill modern. 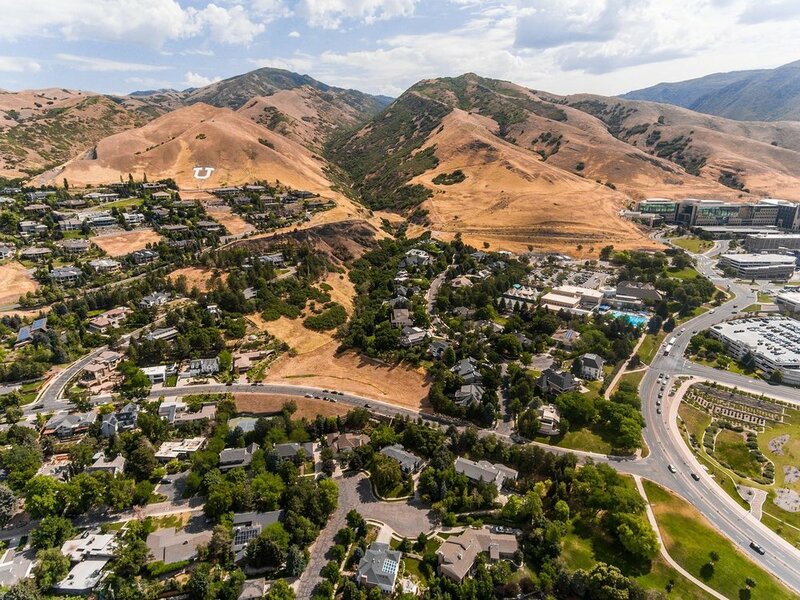 Set against the stunning backdrop of the Wasatch mountains, this four bedroom, three bathroom stunning rebuild is a one of a kind opportunity. Everything is brand new--Pella Windows, Disdero cedar siding, custom metal posts and railings, Hallmark wood flooring throughout, full kitchen in basement with Bertazonni appliances, quartz countertops, Mirabel toilets and tubs, Phillip Jeffries grasscloth wallpaper, Mr. Brown and Visual Comfort light fixtures, and Industry Concrete fireplace surrounds. Three beds on the main floor, including a grand master suite complete with private deck, enormous shower, free standing tub and large walk in closet. Open concept living/dining with views of your fully landscaped rear yard. 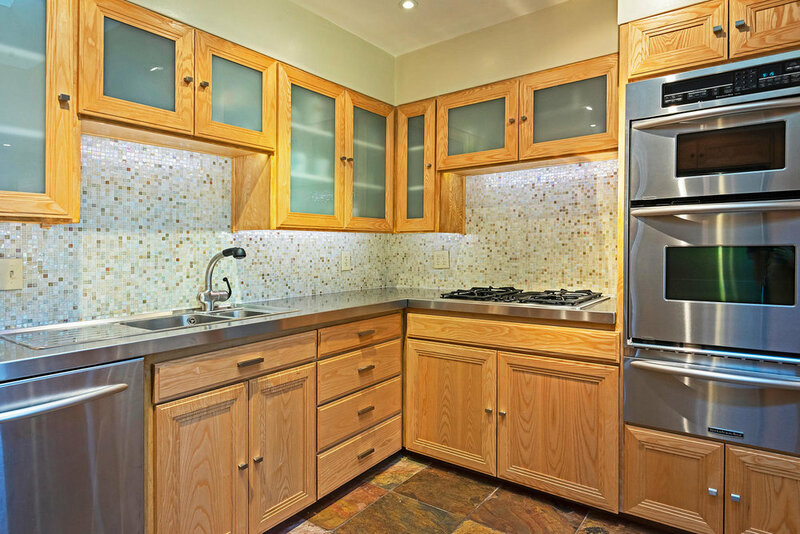 The kitchen boasts custom cabinetry, quartz counters and Bertazonni appliances. Covered rear patio includes built in BBQ and fireplace, perfect for entertaining guests or having a quiet dinner with the family. All electrical, plumbing and HVAC is all brand new. 3 car garage leads to built-in cubbies in mud room. 1 bedroom with a 3/4 bath in the basement, with a large family room and full kitchen could be a fantastic set up for guests or family. Small room off the family room is left for your creativity--perfect size for wine vault. Don't miss this opportunity to own new construction in such a desirable location! 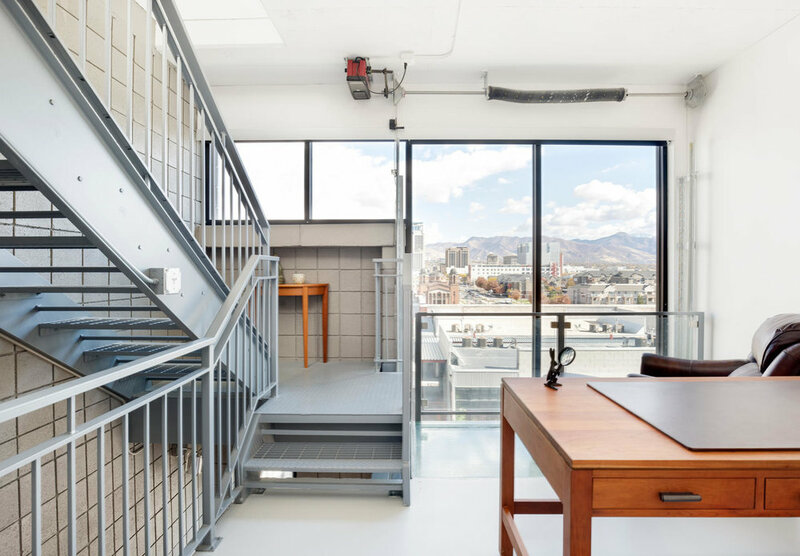 Welcome to a polished gem on one of Salt Lake's most sought after streets. Immaculate brick exterior with metal accents on chimney and bay window. An adorable front porch with french doors that open from the living room give this bungalow fantastic curb appeal. Detached two car garage with fully fenced yard and driveway gate is perfect if you have a furry friend. Hardwood floors throughout, fresh paint, updated kitchen with stainless steel appliances and granite countertops. On the main floor the living room walks out onto the front porch through classic french doors, while the dining room looks over the picturesque street through the bay window. Two bedrooms on main floor with full bath, with an additional bedroom and bathroom in the basement. New AC unit, both fireplaces have been serviced regularly, upgraded window wells, furnace and roof just about 10 years old. Ready to move right in! Incredibly well maintained home in the hottest sugarhouse neighborhood bears all the markings of meticulous care and consideration from the owners. 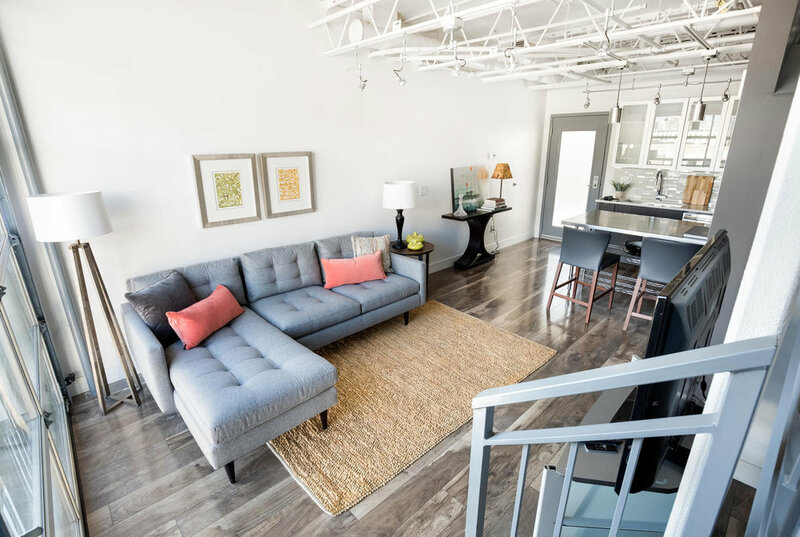 Owner suite on main with one of the largest walk in closets we've seen in a bungalow yet, open floor kitchen/living boasts hardwood floors, fireplace and your personal staircase to lady lair heaven--a guest bedroom or maybe a library/office just steps from the kitchen. The basement has a ceiling height high enough to make you forget your enjoying 3 beds, one full bath and a great family room below. 2 car garage with automatic opener, full sprinkler system for your lawn, and a great covered rear patio for the upcoming long summer nights. Incredible opportunity to own a fully remodeled home in the heart of Sugarhouse, half a block from Westminster College. There are so many opportunities with this property, live upstairs and use the basement as guest space or rent the basement for additional income. Brand new plumbing, HVAC and electrical means you can enjoy the benefits of owning a maintenance free property. Main floor boasts high ceilings, formal dining with an additional breakfast nook, master bedroom & laundry. The kitchen has beautiful white cabinets with stainless steel appliances. The second floor offers 3 bedrooms and 1 full bath. Classic Sugarhouse style with fantastic curb appeal! Located in the prestigious Federal Heights neighborhood, this 5 bed 4 bath home is chock full of classy updates. The main floor boasts a gourmet kitchen, with all Viking appliances, quartz countertops and cararra marble backsplash. The living room and dining room both have great southern light, and a great office space off the dining room is a fantastic place to start the morning with a cup of brew. The main floor master suite is just plain decadent. The oversized bedroom leads you into a master bathroom with all the trimmings--large shower with dueling shower heads (complete with body sprayers), corner soaker tub and double vanity. The master closet is enormous, with plenty of shelf and hangers space for even the largest of wardrobes. The second floor includes two nicely sized bedrooms with a full bath and a fantastic sunny nook for doing homework or crafts. In the basement another two bedrooms, full bath, theater/office, laundry and a large family room. New windows, on demand water heater, large two car garage with newer stamped concrete driveway and porch. Classic Sugarhouse bungalow with all the original trim and details that make these homes so desirable. Gumwood trim, original fireplace and oak hardwood floors and delightful curb appeal. Two beds on the main floor, one clearly set up as a great master, with an adjoining sun room perfect for a reading nook, morning yoga studio, or even a nursery. Kitchen is nicely updated with granite countertops, stainless steel appliances and shaker cabinets. 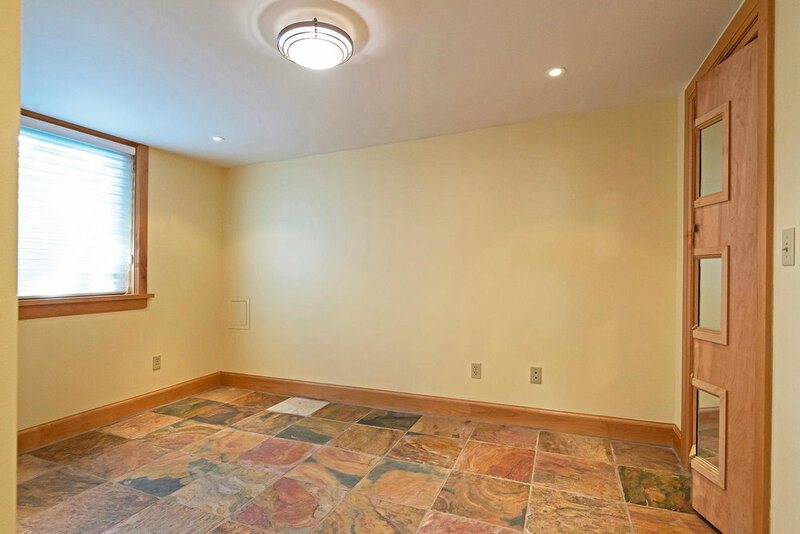 The basement has great ceiling height, can lighting and plenty of natural sunlight. A 3/4 bath and laundry set up (Samsung matching washer/dryer included), leaves plenty of space for large family room, or, as the previous owners did, use it as your spacious master suite. Drip irrigation is all set up for mature xeriscaping in front yard. Updated electrical service and detached single car garage. The private south facing rear yard is fully fenced, including a wrought iron gate at the driveway. An expansive back yard, detached garage, covered rear patio and open floor plan are a few of our favorite highlights of this home. 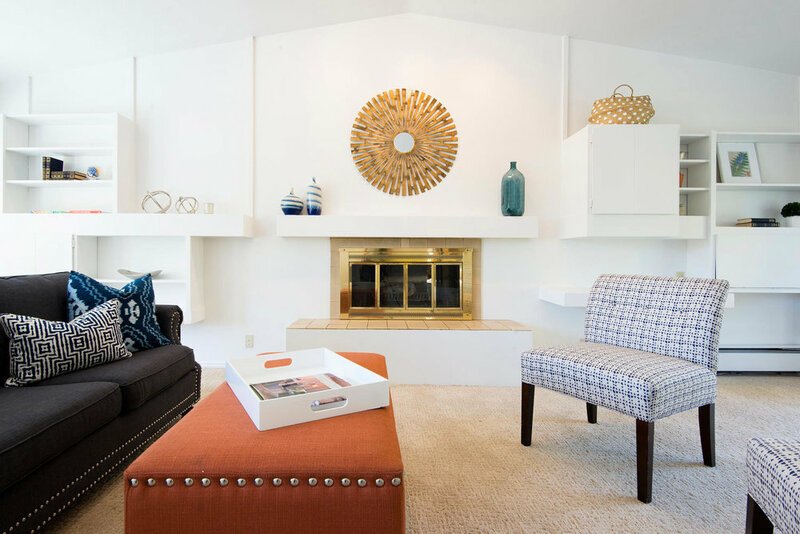 We also love that this home is nestled in a charming nook of Salt Lake. A quiet street with quick access to Foothill, Sugarhouse Park and Harmons at 15th and 15th. A new roof, charming remodeled kitchen and fantastic light throughout. Closets are amply sized, basement is full height, and hardwood floors have been recently re-finished. You won't find a nicer home for this price that is truly move in ready. 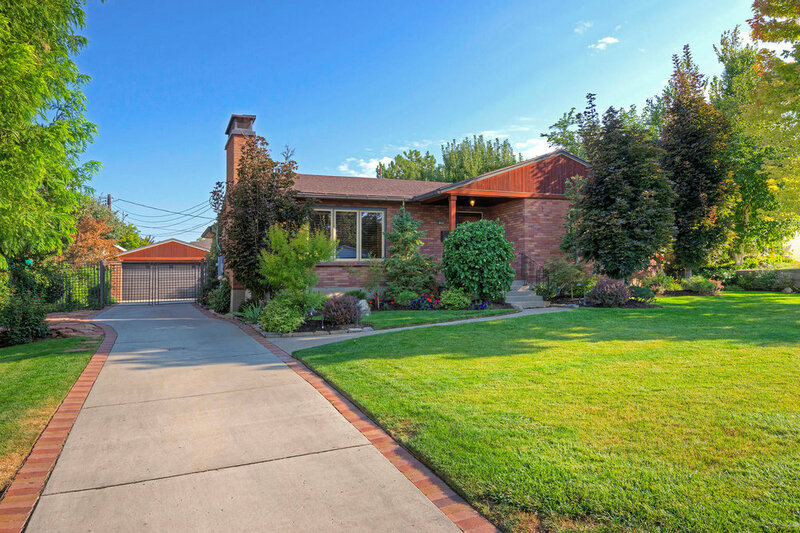 Hard to find tasteful and complete remodel with wonderful mid-century lines in Cottonwood Heights. From the new redwood deck, custom metal railing, glass tile, designer lights and great architectural details, this home is ready and waiting for a new owner to enjoy all the heart and sweat put into every detail. The second floor boasts open concept living kitchen dining, with amazing views of the valley. Deck leads out from both the living room to your private deck on which to enjoy sunsets, and a rear patio that overlooks your expansive and well manicured backyard. 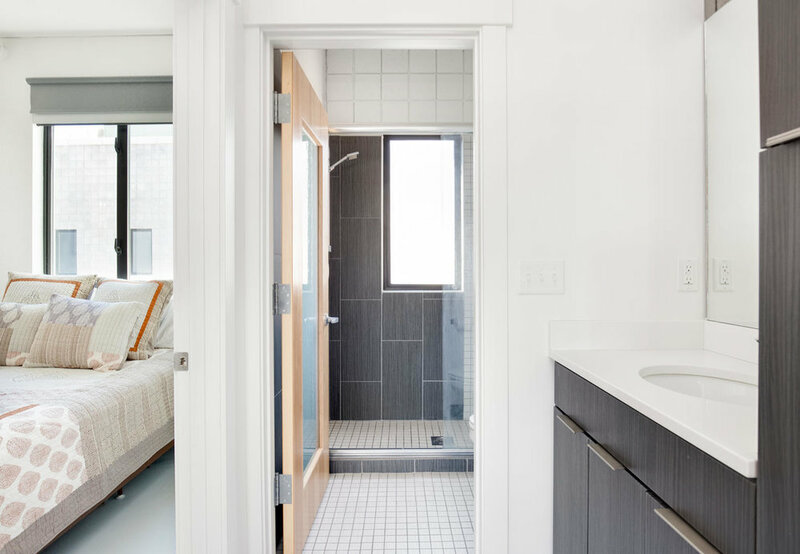 Two large bedrooms with ample closet space face the same great views and share a full bath. The master suite sits at the back of the home, complete with a fantastic master bathroom and doors to your own private patio to enjoy quiet time away from the family under the shadows of the Wastach. The first floor includes great guest bedroom with huge walk in closet, fireplace and cozy family room. 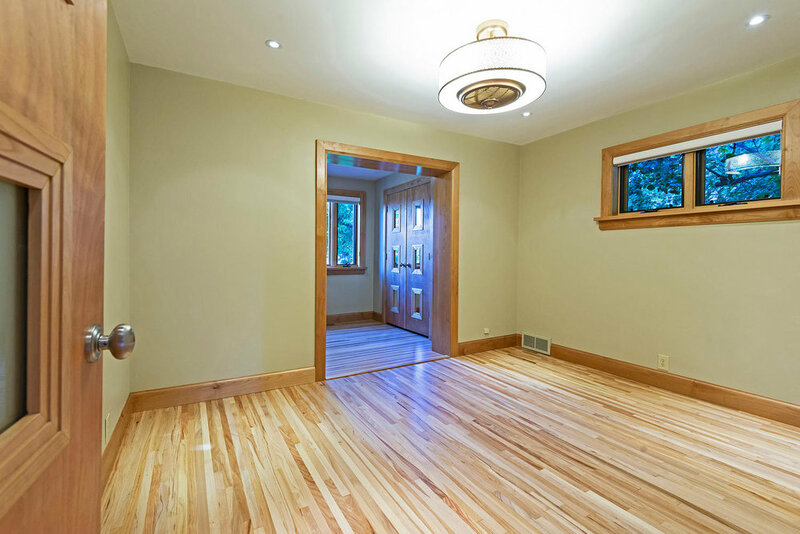 Durable bamboo hardwood flooring throughout, brand new furnace and air conditioner, brand new Samsung appliances. Located on a street known for its prize lemonade stands and tucked just far enough away from the city to feel like your on top of the world. From the towering trees that line this picturesque street, to the rounded front door with wrought iron door knocker and original leaded glass on the front porch doors, this well cared for home is a wonderful example of classic Harvard Yale charm and beauty. You will immediately notice the incredible light this home has, due in part to the many windows that reach nearly to the floor. The main level has hardwood floors throughout, crown molding in the living/dining rooms, and french doors that lead to your front terrace. Master bedroom overlooks the rear yard and outdoor patio. In the basement, with ceilings over 9ft, you will find a 3/4 bath, plenty of extra storage, large family room, laundry with utility sink, and a guest bedroom with oversized closet. 2 car detached garage. 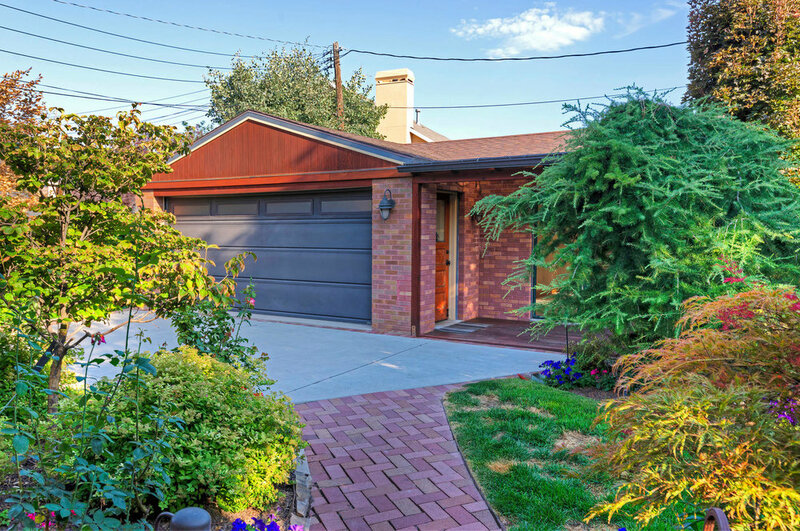 Just a few blocks from Emigration Market, Foothill Village and central Sugarhouse, this well cared for home and it's incredible yard and professional landscaping will have you quickly forget you live so close to all the necessities. The main floor includes 3 bedrooms and 2 baths, including a newly remodeled master bath, open kitchen with granite countertops and GE Profile appliances, refinished red oak floors and plenty of southern light. The basement gives you more options for configurations, with a full ensuite bedroom, a cozy family room, oversized laundry + food storage, and a 2nd bedroom that could be turned into a home office or library. The home has new electrical service, LED lighting, 2 car oversized garage and new carpet and paint throughout. Yet even with all the updates and superb layout, it is the landscaping in both the front and rear yards that really sets this home apart. Garden boxes set up with drip irrigation for you to grow your own vegetables, mature (and well cared for) pear and nectarine trees, as well as raspberry and strawberry bushes, even a dedicated space for composting. The 70 year old green ash tree provides perfect shade during the long summer days and with 2 patios in the backyard, you will be hard pressed to find a more serene setting in the heart of the city. Set back from the street, this charming cottage is located steps from downtown and easy access to the highway without driving through the city. Galley kitchen, main floor bedroom with attached office or nursery, adorable little patio and charming historic architectural features makes this home a must have! Second bedroom on the main is non conforming (does not have a closet). The basement includes an additional bedroom and full laundry room with utility sink. Hardwood floors, bay window, fireplace and an incredible west facing front porch will make this home one you will enjoy for a long time to come. Located on a quiet tree-lined street, this home has been remodeled with new electrical, plumbing, HVAC, and windows just a few years ago. The updating, however, did not sacrifice one whit of its storybook charm. Gated for privacy and flair. Spacious main entry could remain a statement piece or transform into a mudroom for more functionality. Cozy front living room has a gas fireplace and beautiful morning light. 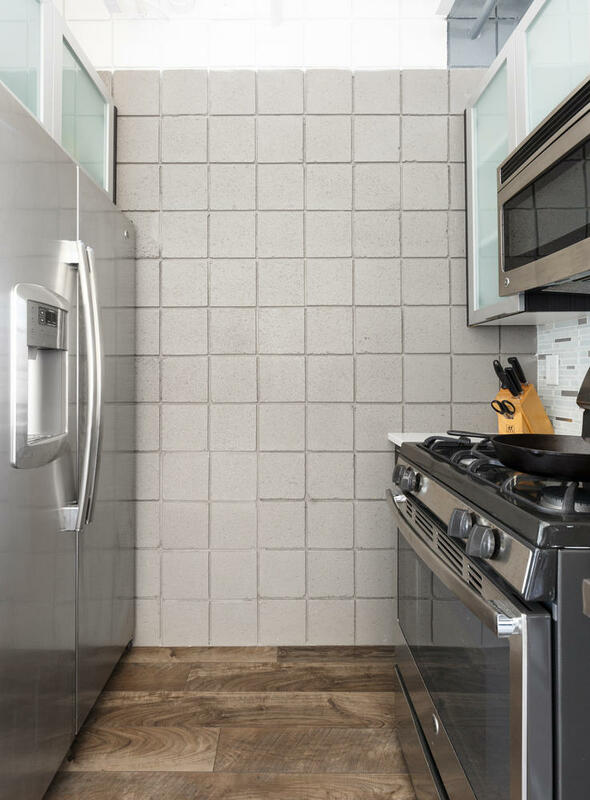 The kitchen is surely the heart of this home with it's white shaker cabinetry, Vermont soapstone, stainless steel appliances and bonuses like modern subway tile and a pot filler. Large dedicated dining room is a true show-stopper and a comfortable size to entertain the masses. Two bedrooms and one full bath complete the main floor. 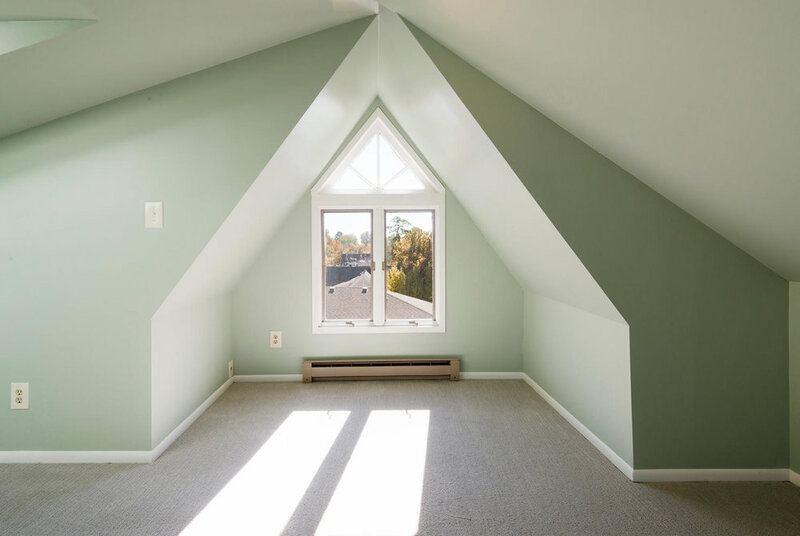 On the second level you'll find a light-filled bonus room perfect for a home office, nursery or craft room. 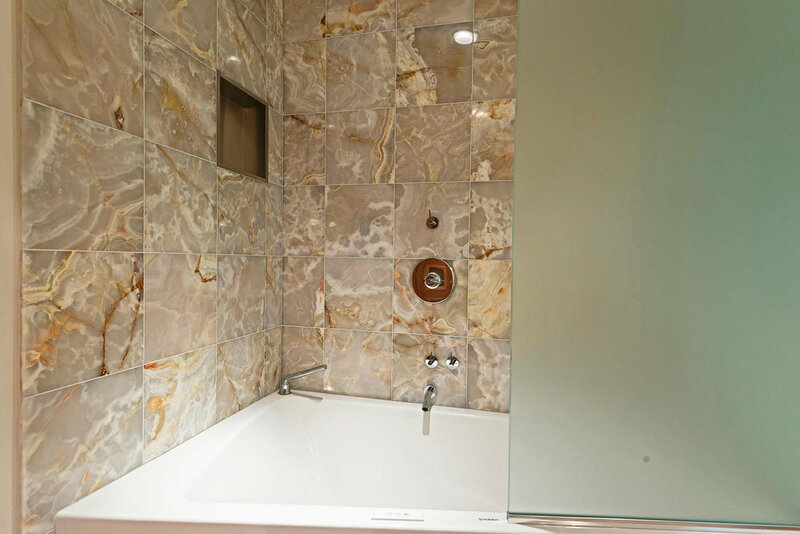 Master retreat includes a walk-in closet and massive bath with heated Carrera marble, double sinks, spacious shower, separate claw-foot tub and chandelier to boot. Theater room (projector included) in the lower level as well as the fourth bedroom, laundry and three-quarter bath. The .16-acre lot feels like the countryside with it's blooming greenery, pergola with mature wisteria vine, raised garden beds with drip system and a built-in outdoor barbecue with bar/island. New one car detached garage for as much storage as your heart desires but we think you've already found more than you bargained for. Antique Hundi lantern light fixture in front entry room is excluded. Rare, nearly 3,000 sq. ft., five bedroom Tudor on a prestigious corner lot just one block from 15th & 15th. Charming archways meet art deco and craftsman updates that simply work in the neutral tones of the main living areas. Updated eat-in kitchen has new quartz countertops that literally sparkle. Secluded master retreat and full bath upstairs while three additional bedrooms, one full bath, laundry room, storage and the garage entrance can be found on the basement level. 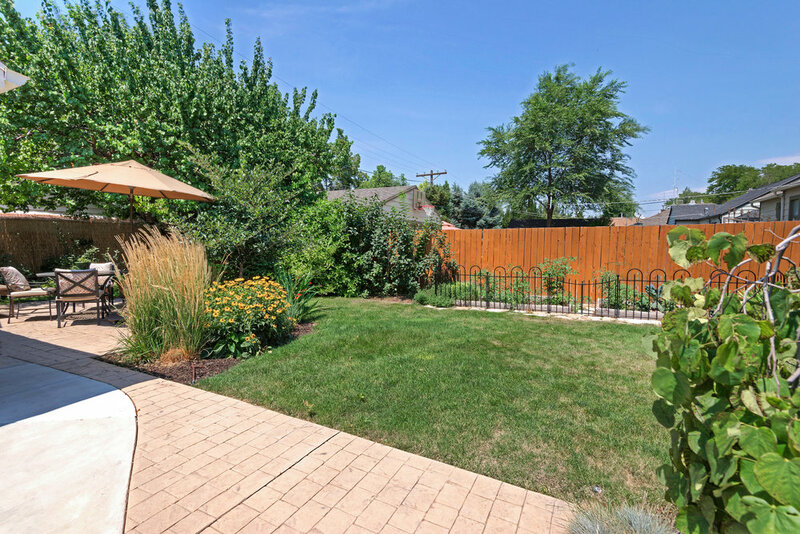 Lush backyard with stained concrete patio, plenty of grassy play space and a dedicated vegetable garden. Fantastic location meets move in ready! A long tree lined street greets you as you pull up to this classic canyon rambler. Hardwood floors, new Anderson windows, new oversized one car garage + carport and a new master suite addition are just some of this home's highlights. The main floor includes living, dining and kitchen as well as the new master suite addition, quiet and secluded from the traffic of the home. Two additional bedrooms and a full bath complete the main floor. In the basement you will find one additional bedroom, a family room which could be a 5th bedroom and a large laundry room with plenty of storage and a 3/4 bath. The south facing front rooms will bring in fantastic morning light, and the manicured back yard just perfect for those long summer evenings (hurry up spring!). So rare is it to find a home these days that boasts incredible finishes, thoroughly updated mechanical equipment and sits on a tree lined street with incredible views of our favorite mountain range. Even more rare is to find a home with a main floor master suite, complete with walk-in closet and private master bathroom. Count yourself lucky, because this home has it all. Gutted to the studs and fully permitted, this home has new electrical, plumbing, HVAC, and insulation. The kitchen includes custom cabinets, quartz countertops and LG & Whirlpool appliances, while the basement has high ceilings and is full of natural light and a brand new laundry room. Large backyard is perfect for you to add a patio to enjoy these long summer evenings, and the 2 car garage with additional workshop area will make wrenching on your mountain toys a breeze. 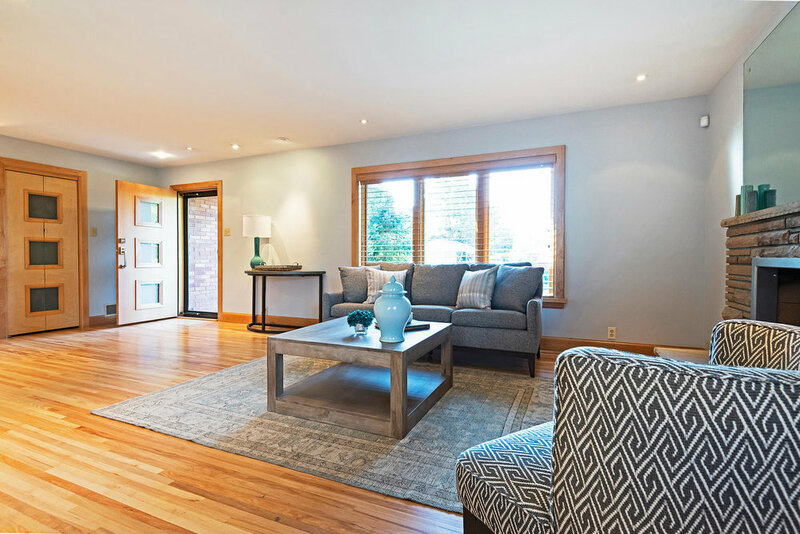 Set on a charming street in a fabulous location, this classic bungalow boasts tall ceilings throughout the main floor, classic touches like the original built-ins, doors and door hardware, and original flooring which remains in perfect condition. Updated kitchen, grand front porch on which to enjoy upcoming summer evenings, and plenty of main floor living space. Dining room is large enough to hold the entire family. Single detached garage and a south facing rear yard just waiting for you to start a vegetable patch. Don't miss this green goddess. Pristine landscaping and adorable front porch to start. Built in 1912, this 2100 square foot home boasts two stories of living space and a backyard to die for. Charming entry space opens to dedicated dining room and adjacent formal living. 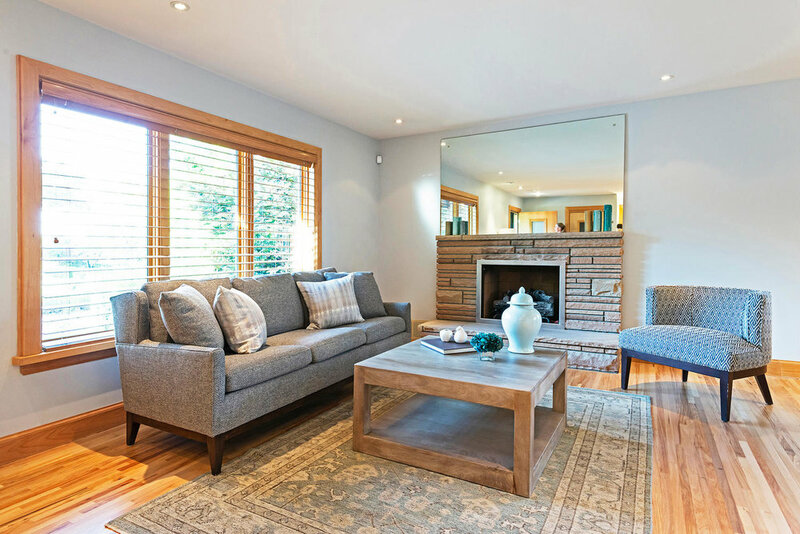 Complete with gas fireplace and picture window, let's just say this is where you'll be spending a good amount of time relaxing. You'll be shocked at the height of these ceilings and the shape of the incredible hardwood floors. The windows are newer and include custom window treatments. Main level consists of two bedrooms, both with great closet space, a large full bath and main floor laundry. The kitchen is clean, white and opens to your dream backyard. You'll find the master bedroom upstairs with a full bath including a separate toilet room and jacuzzi size tub. Incredible backyard is icing on the cake. Enjoy shaded evening dinners on the spacious back deck. Large, two car garage with alley access is next to a new matching shed that is fully insulated and has electrical to boot. Dedicated garden spaces have been utilized for years so your veggies will sprout on the south-side of the yard with little effort. With its local shops, lively parks and friendly people, the 9th & 9th neighborhood is one of the most sought-after areas of the city! 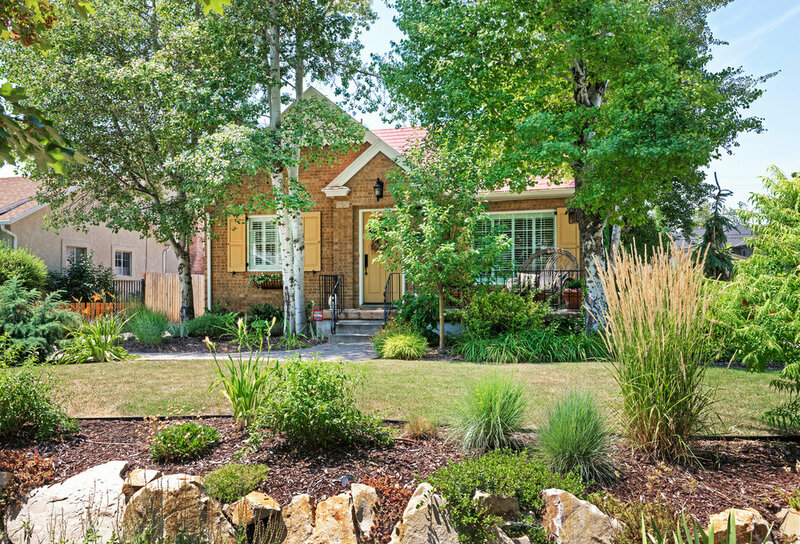 Nestled on a secluded street, set back behind mature aspens, this adorable city cottage is ready for a new owner. South facing, this single level home boasts 2 bedrooms, bonus room/office, updated kitchen/bath with stainless steel appliances, refinished original oak floors and one of the best backyards we have seen in this price range ever! Mud room/laundry is perfectly located on the way in from the one car garage, which has an attached porch, automatic garage door opener, extended length, shop shelving and electrical. Watch your dog take in the morning air in the shaded and fully fenced back yard from your breakfast nook, or watch the day come to a close from your front porch. Either way you will love the serenity this home offers. Welcome to Canyon View Place located in one of the most coveted areas on the southeast bench. 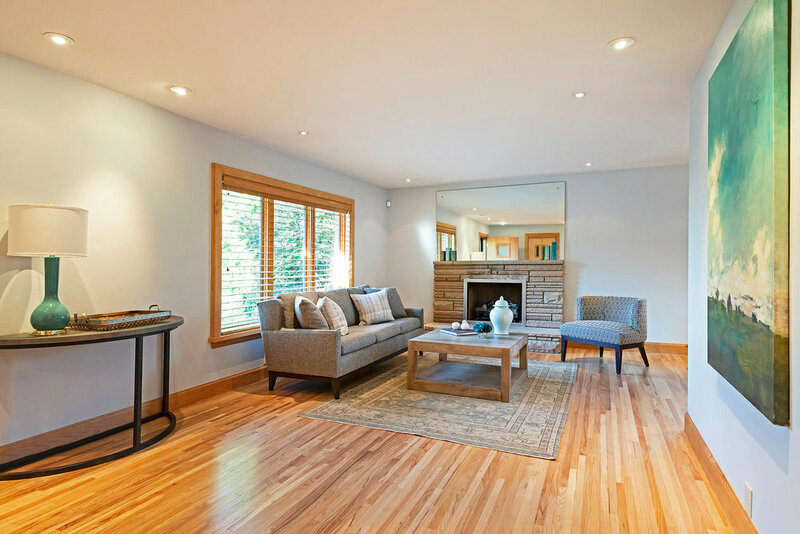 The serene setting at the base of little cottonwood canyon will truly amaze from all areas of this light filled home. It's artful combination of contemporary design with a touch of charm are just a few things we love. The grand entrance, the 18' ceilings in the living room and the historic fireplace which restored from a downtown hotel had us at hello. The private master suite complete with luxury bath sits adjacent to a cozy sitting area, both boasting exquisite mountain views. Chef's kitchen appointed with luxurious cabinet space and granite counter tops,a gas range, wine fridge, including fisher & paykel dishwashers are perfect for entertaining and family gatherings. Expansive deck system and the lush .44 acre wooded lot with the creekside ambiance make this home absolutely impressive. Lower level has deck access, additional family room, game room, modern wet bar & sauna. Full walk out basement, 3 car garage, quality finishes and upgrades throughout. Minutes from world class skiing, fishing, and mountain biking & hiking trailheads. Finding home for the holidays is here! 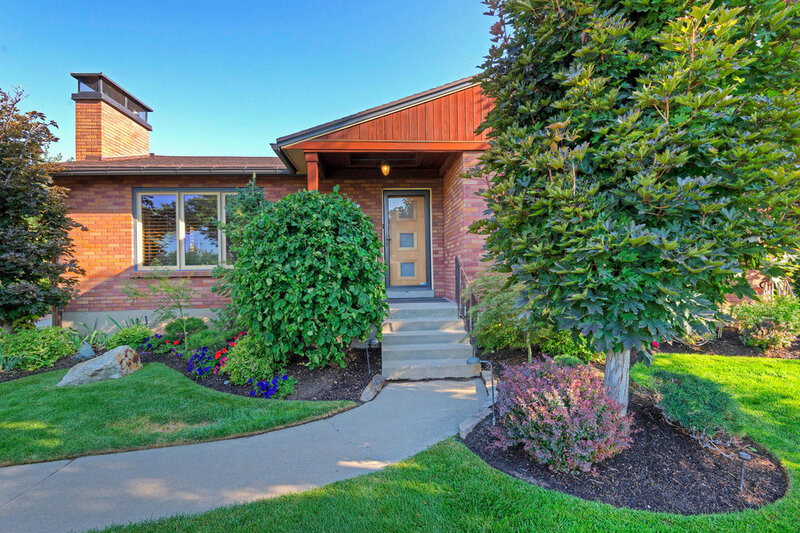 This stunning 2 story is a perfect blend of charm and modern amenities, located on a prime block in one of Salt Lake's most sought after neighborhoods. Features include beautiful hardwood floors, moldings, vaulted ceilings, and architectural details. The home offers a renovated kitchen, updated baths, 3 bedrooms and 2 baths on the main level, and a recently renovated basement. The basement has a large family room, 1 bedroom with a 3/4 bath, and an additional non-conforming bedroom, laundry, and ample storage. The true second level is a dedicated master suite, suited for a King and Queen, with walk-in closets the size of your average bedroom, adjoining the bright and airy bathroom with a separate tub/shower. Great entertaining in your own secluded backyard oasis, with an outdoor living area and pergola, for lovely summer evenings. Ever wonder what it would be like to be within walking distance of central sugarhouse but on a quiet street removed from the buzz? Welcome to Lincoln Street. Only a block and a half from every city amenity you will ever need, this home captures the unique qualities of living in this great city. Fully updated by a park city general contractor, this home boasts all new electrical, plumbing (including new shut off, pressure regulator, and main water line to the street), insulation and irrigation. 2 bed, 2 bath on the main, brand new kitchen and stainless steel appliances, incredible master shower and a fantastic sun nook perfect for enjoying your morning coffee or evening cocktail. The basement family is set up perfectly for a den or even a guest hosting paradise. With attached laundry and large bathroom (walk in shower included), the basement could be your dream den during the week, and a perfect place to host groups of friends or family over the long holiday weekend. Attached one car garage is perfect for your city whip. Concise backyard has plenty of room to host friends and family for summer BBQ's. This condo is perfectly situated on the edge of downtown and in the middle of a neighborhood known for its nightlife, unique shops, art strolls, and amazing restaurants. From your doorstep you need only to walk a couple of blocks to enjoy all the newest restaurants,beer and wine bars, live music, yoga, gym, summer festivals, theater and art. It's all right around the corner. When you do need your car, a dedicated parking space close to the entrance is included. And when you finally get home, what a treat these views are! The master bedroom's south views overlook the library's roof garden and continue to include the entire city valley. 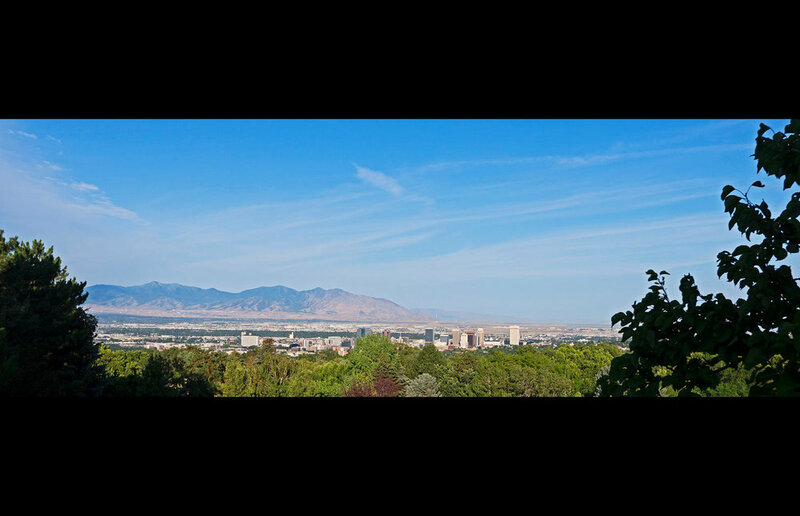 The views from the guest bedroom and living room decks extend from Rice-Eccles to point of the mountain. Inside you will enjoy engineered hardwood floors, granite cabinets with updated cabinets, huge walk-in shower in the guest bath and enough closet space for every outfit. 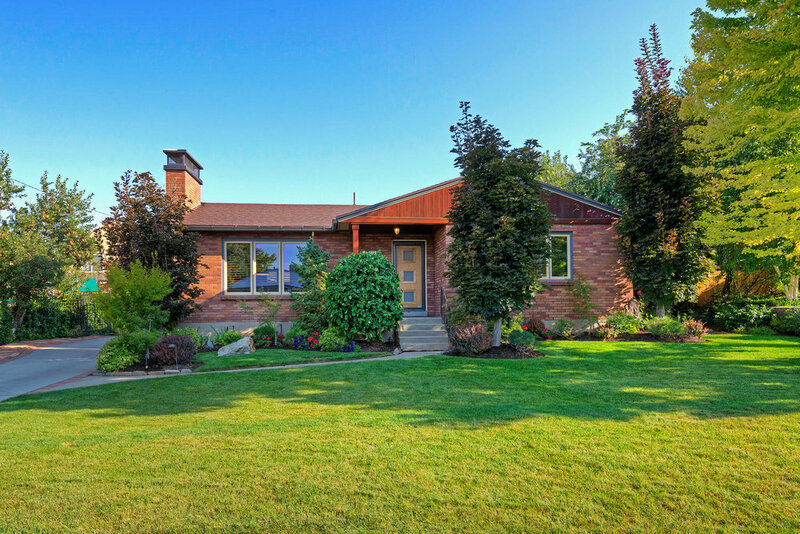 This classic Sugarhouse bungalow is all you need. A front porch to which enjoy these incredible fall evenings. Gated yard and single car garage for Fido and all your mountain toys. Original gum wood fireplace cabinets in which to store your collection of favorite novels or travel books. Great closet space (or morning meditation room) right off of master bedroom, updated electrical with helpful floor outlets, updated furnace and AC. Stainless steel appliances and fresh paint throughout. Great access to everything downtown via the 300 E bike lane, with Alchemy coffee just a block up the street. Ditch paying that high rent today and call this perfectly located condo in the middle of the avenues home tomorrow! Fantastic location--not too close to hear the traffic or bustle, and not too removed to not feel close to the action. Second floor end unit has great views of quaint N street below. Two bedrooms, one full bath. Open kitchen with granite countertops and stainless steel appliances. Dedicated parking spot and common coin laundry. Easy access to downtown and all the boutique bars and restaurants that call the lower Aves home. 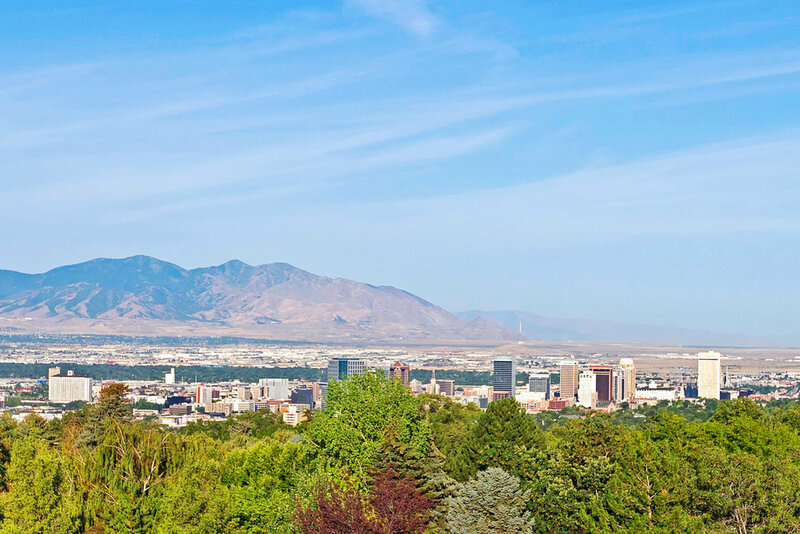 Don't miss your chance to own in this premier Salt Lake neighborhood, with pride of ownership at every turn. Just two blocks from Emigration Market, the best huevos in town, and long summer nights of gelato, this neatly kept brick bungalow is a perfect spot to call home. Inside you will find the markings of an original classic, nicely updated for modern living. The original solid core doors and hardware pair well with the brand new oak hardwood just recently installed. You will find granite countertops and stainless steel appliances in an open and central kitchen. Past the kitchen, the breakfast nook brings in incredible southern light and overlooks your rear yard and newer stamped concrete patio. 2 beds, one full bath on the main floor with another 2 beds and full bath in the basement. Driveway is new and sewer line has been recently sleeved. Large laundry room and full sized family room downstairs, and newly wired detached garage have great potential for you to add your personal touches.